There has been talk of an Aretha Franklin biopic swirling around for years now, with the legendary diva herself previously pitching Halle Berry for the lead role and Denzel Washington for the part of her father. It's possible that the door is still open for Washington to play this paternal figure, but if new reports are to be believed then there may be a new front-runner to play Franklin herself: Academy Award-winner Jennifer Hudson. Straight Outta Compton producer Scott Bernstein is developing the movie, and while no deal is in place just yet, The Wrap has confirmation from Jennifer Hudson's people that discussions have been had about the project. Should she wind up signing on the dotted line, she will portray Aretha Franklin as she found herself becoming famous for her music in the 1960s and 1970s. Some of the drama will also come from her relationship with Ted White, who was Franklin's first husband and subjected her to domestic abuse. 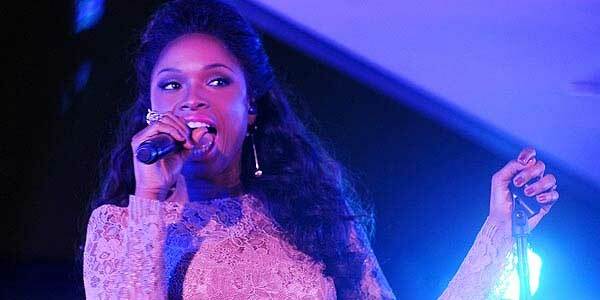 Jennifer Hudson rose to fame as a contestant on American Idol, but her career as an actress started with a bang in 2006. That year she co-starred with Eddie Murphy and Beyonce Knowles in the drama Dreamgirls, and her performance wound up netting her the Academy Award for Best Supporting Actress. Most recently she has been appearing in a supporting role on the hit Fox series Empire, but has also completed work on the new Spike Lee joint, Chiraq. It should be noted that the last time she attempted a biopic, it didn't wind up going too well. Director Darrell Roodt's Winnie Mandala (which featured Hudson in the lead role), didn't come out until two years after its Toronto International Film Festival debut, and when it was released it was completely trashed by critics. One can only hope that she will have better fortune with the story of Aretha Franklin. The trade report doesn't mention the possible schedule that the Aretha Franklin biopic is looking at, but if Jennifer Hudson signs on the project could find itself on the fast track. Scott Bernstein is surely getting a lot of pats on the back thanks to the success of Straight Outta Compton, and it could very well get people interested in other projects that he has cooking on the stove. It's entirely possible that we will start hearing a lot more about this film in the coming weeks, so stay tuned for more details!